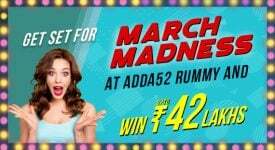 Adda52 Rummy is always in the pursuit of conceptualizing challenging and interesting rummy games for its loyal base of existing players as well as those who are first-timers when it comes to playing rummy. The Freedom Challenge hosted by Adda52 Rummy on account of the 72nd Independence Day of India saw enthusiastic participants from across the country play rummy to the best of their abilities. 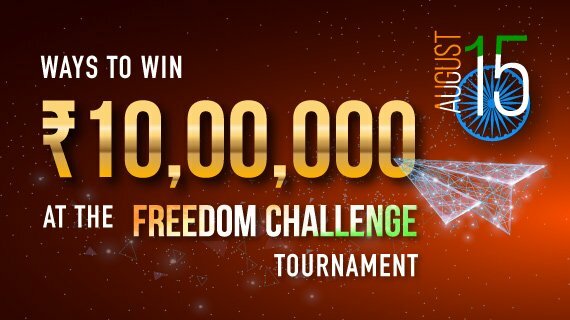 A completely online event, the Freedom Challenge could be played from absolutely anywhere across the country and using any device including desktops and laptops apart from mobiles and tablets, as long as the participant had an internet connection. 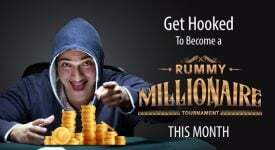 The entry requirement for rummy enthusiasts to participate in this challenge was 25 Loyalty Points or a Ticket. In case a person wished to participate in the challenge but was short of the required loyalty points, he/she could obtain the ticket by depositing a minimum of Rs 100 and using the code HAPPYIDAY. Adda52 Rummy does not encourage any form of unfair means of playing. Hence, any user found to have employed any method that would put them at an advantage in terms of winning would cease to qualify for the prize pool. 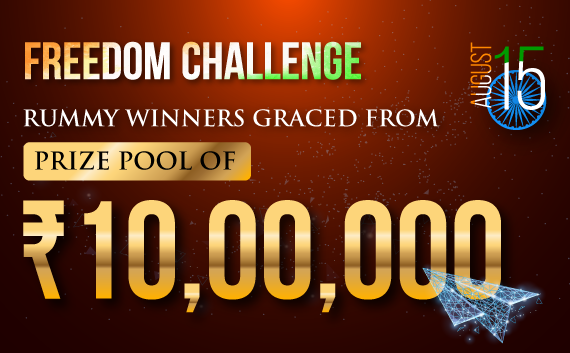 The total prize pool for the Freedom Challenge Tournament was Rs 10,00,000. 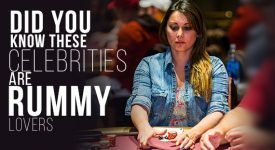 A huge prize pool for the players who have had to invest little in terms of loyalty points. The playing format used was 13 cards rummy which is one of the most popular rummy games in India. Arranging cards in such a manner that two sequences are created is the main objective of this rummy format. A minimum of 2 players will be able to play this format using the regular deck of cards which includes two jokers. 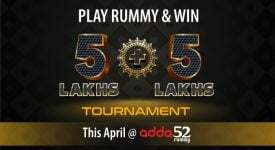 More details on how to play this format and the rules of the game are available on the Adda52 Rummy website. In the case of any competition or challenge, once the main game is over, the excitement of the participants increases around the time of the winner announcement. Each player gave his/her best shot at playing a fair but competitive game. 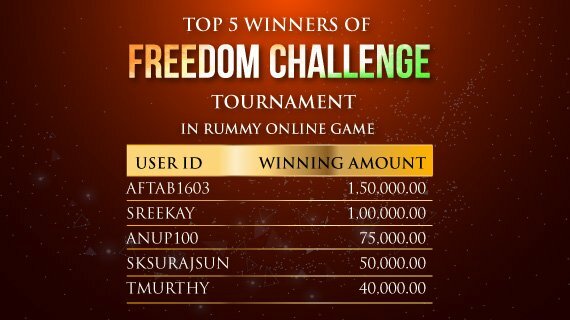 Congratulations from the Adda52 Rummy team to all the winners of the Freedom Challenge Tournament. 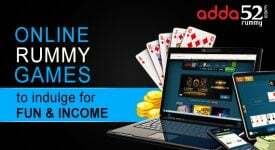 With the Freedom Challenge done and dusted, it is time for the rummy enthusiasts to get ready to welcome new challenges and tournaments on the Adda52 Rummy website.